Founded on August 10, 2007. WCQJ.com started out covering happenings on The Howard Stern Show, news items and topics related to the world of Howard Stern, show cast members and crew, guests and celebrities, weird and bizarre news articles, wack-packers, Sirius XM Satellite Radio and more. WCQJ.com is now an alternative news media website. Our main focus in 2017 is President Donald Trump but we haven’t forgotten about Howard. The change will encompass social media platforms like Twitter, Youtube, DailyMotion and more. Our future vision is to provide an open platform for citizen journalists to share their unique views. We are dedicated to reporting stories that have either gone completely unreported by mainstream media or simply altered to fit a false narrative. WCQJ.com has released all claims on copyright and has put all its own content into the public domain. The copyleft mindset is that of a person who gives without any guarantee of profit, who lets go of ownership and believes the world owns her or his creation. The copy creator hopes to contribute to the world in a small way, and if others benefit from this contribution, that is a wonderful thing. You are more than welcome to take content from this website and create something new and beautiful. The copyleft content creator lets go of ownership because to hold on to copyright claims hurts the world, and to try to protect that ownership leads to unnecessary stress. You understand WCQJ has no affiliation with Sirius XM Satellite Radio, OnDemand, The Howard Stern Show, Howard Stern and any other individual or business associated with The Howard Stern Show. “Stern Show Blog” is an unofficial fan blog and not an official blog. 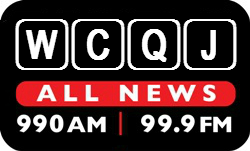 WCQJ.com only provides links from other sites on the Internet like Google.com. We do not host any video, films, or media files. By using this site, you acknowledge that you are 18 or older and have read, understood, and agree to honor these Terms of Services. The contents on WCQJ such as articles, text, graphics, images, links, and other material contained on the site or any supporting material (such as books, magazines, television and film) are for informational and entertainment purposes only. The use of the website and its content is a choice that you have voluntarily made, and WCQJ.com assumes no liability for your use of the website.